Converts to occasional double berth. Very lightly used by the owner during the 2018 season she has only been slept on twice with the engine having recorded just 40 hours of running. 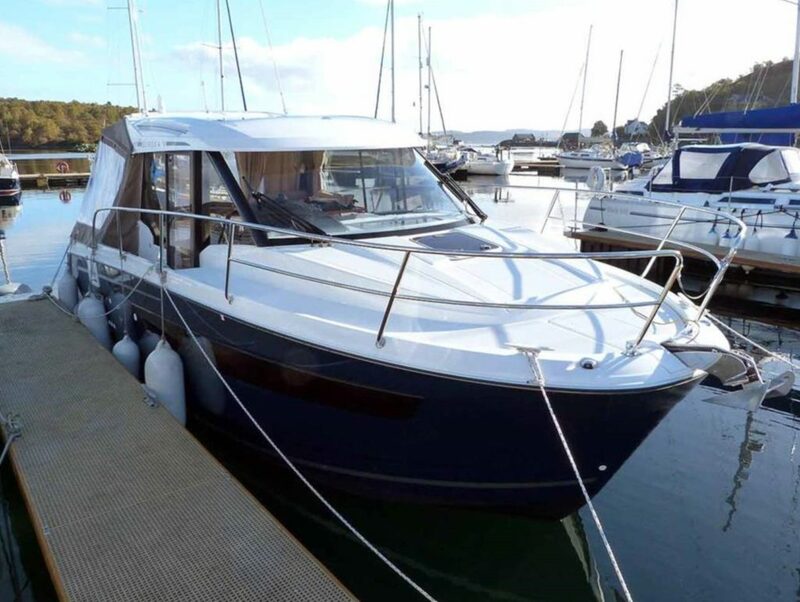 She represents a real opportunity to acquire a fully loaded example of this current model boat ready to go for the 2019 season and at a considerable discount against buying new. Lying afloat and in commission on her berth in Argyll we recommend early viewing to avoid disappointment. Find full details of the boat and her inventory here.